Get your calendars ready, fans of Korean League of Legends—KeSpa has released the complete 2018 LCK Spring Split schedule via Twitter. Like last year, the LCK will run on a five-day schedule and will be split between the OnGameNet and SPOTV broadcast teams. OGN will broadcast games on Wednesday, Thursday, and Saturday, while SPOTV has Tuesday and Sunday. Both OGN and SPOTV will begin their broadcasts at 5pm KST, which translates to 3am ET. The 2018 LCK Spring Split will begin on Jan. 16, with the opening match between KSV Esports and Kingzone DragonX. For those who haven’t paid attention to this past offseason, KSV Esports and Kingzone DragonX are the names for the rebranded Samsung Galaxy and Longzhu Gaming rosters respectively. This will be a particularly special match as it pits the current world champions against the current LCK champions. For those eagerly awaiting the next installment of the telecom wars, you won’t need to wait much longer. 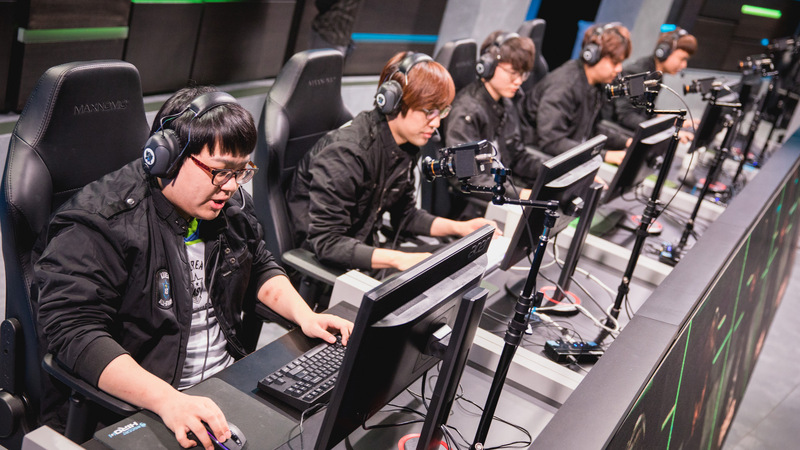 KT Rolster and SK Telecom T1 will face off in week two, on Jan. 24. The LCK is the fourth major region to release its complete schedule—the Taiwanese LMS league has not yet revealed its match dates.